Keeping track of all of your company’s income and expenses can seem overwhelming, even when you run a small business. There are calculations to make, reports to prepare, bills to pay and taxes to file. The list of financials that needs to be compiled monthly, quarterly and annually is often endless. The good news is that small business accounting software exists to help streamline the process. The right software allows you to keep track of all your financial information in one place and access the real-time reports you need to keep your company running smoothly. Why Do I Need Small Business Accounting Software? Small business accounting software allows even the most mathematically challenged to maintain accurate financial records. Instead of manually tracking purchases, receipts and profits from spreadsheets on your desktop computer, you can save time and manpower by tracking everything in an electronic accounting program. Streamlines your accounting. With small business accounting software, you have access to all of your financial information in one place. You don’t have to check with several departments to get the information you need or wait until the end of the month to look at your financials. Instead, you can log into your accounting software any time of day or night from any device to see if invoices were paid, inventory was sent out, what part of your company is profitable and where you can make some improvements. Reduces human error. No matter how competent your employees are, there is always room for human error. Small business accounting software helps reduce error in calculations and reporting by keeping track of finances electronically. When processes like invoicing, timekeeping and bill collections are done through the accounting software, that increases the accuracy of your financials even more. Allows team collaboration. Small business accounting software allows more than one person to access your company’s financial information. You may want the people managing payroll, marketing, inventory and sales to have access to the real-time financial information of your company so they can better perform their duties. With accounting software based in the cloud or loaded onto each person’s computer, staff members from across the company can log-in and get the necessary information. Provides insights. With the push of a button, small business accounting software can give you immediate big-picture insights into your company. Based on these, you can better tailor your spending, sales efforts, inventory and staff to make your company more profitable. Keeps information secure. Today’s accounting software is secure, ensuring your company’s information stays within the company. Most software encrypts information so that it can only be accessed by your company. Many provide individual log-ins for each employee so that only certain people can see certain aspects of your financial information. For example, you can give your human resources manager access to time sheets and payroll and not to all of the other financial information for your company. If you accept payments directly into your accounting software, those are also encrypted. Generates instant reports. Most small business accounting software allows you to customize the reports you need and have instant access to them whenever you want them. You can instantly pull such reports as your profit and loss statement, sales tax summary, invoice history, payments collected and expense reports. This helps cut down on time your employees may spend putting together this type of information. You can even automatically generate reports that show data in a way that makes sense to you, such as pie charts or graphs. Provides industry-specific reporting. If you choose small business accounting software that is specific to your industry, you avoid having to do customization that can increase the price of the software. You also get access to reporting that is more valuable to your company. For example, if you are a health care provider, you may need functionality that allows you to bill insurance companies. If you find software that is specific to the health care industry, this functionality may likely be included or be a rather affordable add-on. For software that is for generic industries, creating this functionality for your company can drive the price of the software way up. Keeps you current on best practices. A small business accounting software program can keep your business current on best accounting practices. With automatic software updates and tutorials on new features, you can stay on top of the latest reporting and tax practices without having to rely on your accountant. The right kind of small business account software means fewer headaches for you and more time for all your staff to focus their energies elsewhere. So how do you choose the right software for your company? What Accounting Software Is Best for a Small Business? Deciding to get small business accounting software for your company is often the easiest part of the process. The harder part is deciding which specific software to use. There are a variety of options on the market, most of which can be customized to your particular business and needs. Before you start the process of determining which small business accounting software to download or sign-up for, be sure you know what features you want. Take the time to research your options and the features each offer. Once you know what you want, start pricing your options. Decide if you want small business accounting software to download on your computer or if you’d rather have access to a cloud-based program that you can access from any device. There is a wide range of pricing based on the program you opt for, the features you’d like and the customization that needs to be done. Have a budget in mind before making a final decision, keeping in mind that the cost increases as you opt for more customization. Also, consider which small business accounting software is most intuitive for you to use. While many products have similar features, the actual dashboard and implementation of the product can vary. You should select one that you are comfortable using, so make sure to see a demo of the products you are interested in. That way you can get a feel for how you would use the product and if it’s easy enough for you to navigate. The last thing you want to do is invest a lot of money in a small business accounting software download that is too frustrating for you to use. In addition to trying out the program, get a list of references which use the software you’re interested in. If possible, find one who is in a similar industry as yours, as they are likely to use the software in the same way as you would. Ask questions about the implementation process, how the customized features work and how responsive the customer service team is. The answers you get can help you make the best decision for your company. If you have one, also check in with your IT department before making a decision. You may have storage or bandwidth limitations that make certain programs infeasible to have at your company. The technicalities of this are best left to those with a good understanding of computer networking at your company. Is There Any Free Small Business Accounting Software? 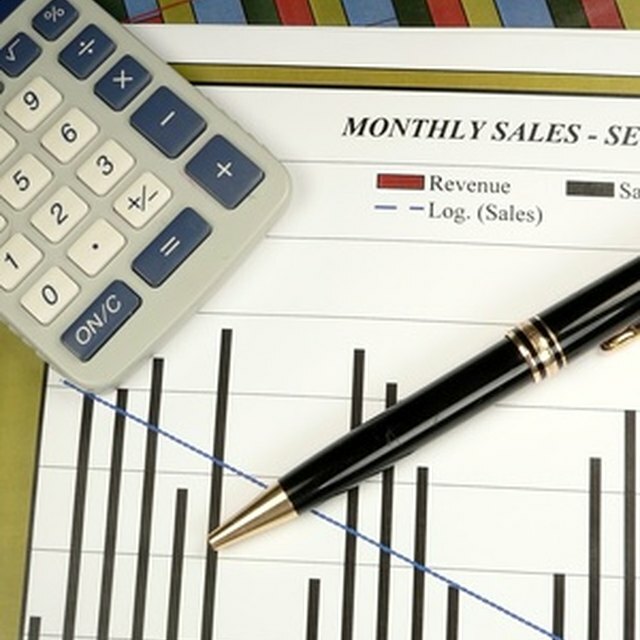 The right small business accounting software can be an investment. If you are not quite ready to make a financial commitment, you can find online small business accounting software for free. Small business accounting software that’s free typically only allows you very basic accounting functions, such as paying bills and invoicing customers. Some small business accounting software that’s free limits other features, such as the number of allowable users, the number of bank accounts that can be linked and limited reporting functionality. There is some free accounting software on the market that has more compressive features, but may be lacking in other areas. For example, the software may allow you to create needed financial statements but not provide needed customer support. If you are not very technologically savvy, a lack of customer support may make the free software not worth your time. If you are looking for something very basic that gets you into the rhythm of using accounting software, small business accounting software that’s free may be a good entry-level accounting program for you. Many allow you to upgrade to more paid features as you become more comfortable using the software. Just be aware going in that you won’t be able to access many of these features if you are just using the free version of the software. If you opt for the free route, be sure to select a product that has some name recognition. Read reviews from other users and get recommendations when possible. Since you are inputting sensitive and important company information, you don’t want to use just any small business accounting software download you find online. Do I Need an Accountant as Well? You may be wondering if you still need an accountant if you keep track of all your financials electronically. Generally, the answer is yes. It’s a good idea to have a certified professional accountant review your information to make sure everything is tracking correctly and that you haven’t overlooked anything that will be vital come tax time. An accountant will also keep you updated on the latest tax provisions and requirements so that you make sure you are always in compliance. One of the features found in most small business accounting software is the ability to give your accountant access to the software. You can typically invite your accountant to your account so that they can see all the information they need to keep your financials on track. Your accountant will have limited functionality so that they cannot make changes without your permission. If you already have an accountant, you may want to ask what she recommends for small business accounting software. Given her knowledge of your company, she may have some specific recommendations for what would work best for you. She may also have some preferences for what software integrates best with what she uses on her end. Finding the right small business accounting software for your business will better set you up for financial success in the long run. Be sure to do the proper groundwork and research to choose a product that is right for your experience level, company and industry. It’s an investment in your company’s future that you want to make sure you do right the first time.